Well. 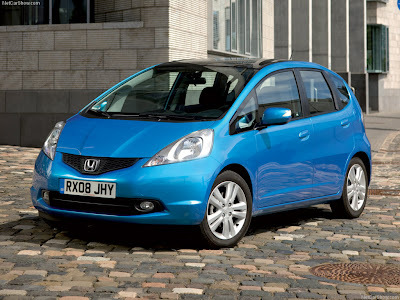 We got our automatic silver Honda Jazz traded in today for their manual Honda Jazz. It's a good thing I had 3 months to get a hang of driving on the left side of the road in the right side of the car before they threw this at us. Driving stick shift with the left hand. First test drive today to get a haircut. I ROCKED IT! It felt so natural, no stalling, no grinding. It was perfect. Love the color, love the car, love the stick. Rock on!